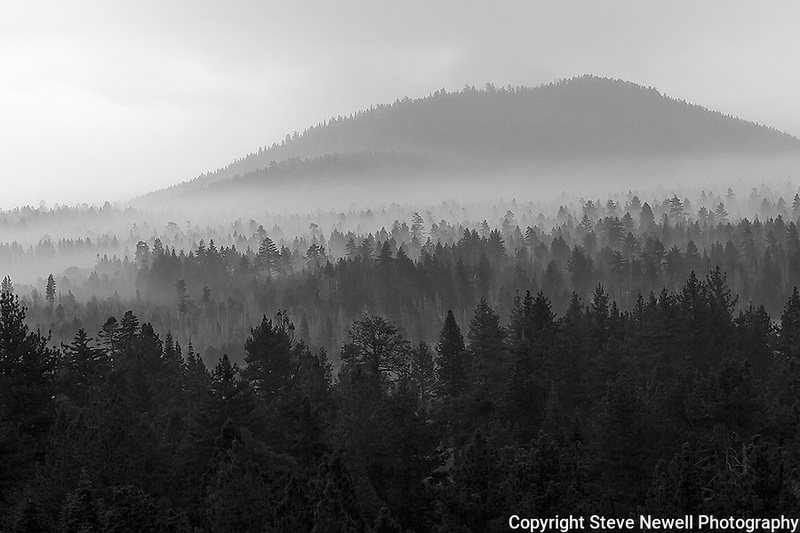 "Mystical Morning" Black and White Gardner Mountain- Lake Tahoe, CA. I captured this image at sunrise the morning after the Angora Fire here in South Lake Tahoe. The smoke gives the trees their depth and dimension. It looks as if there are a million trees.